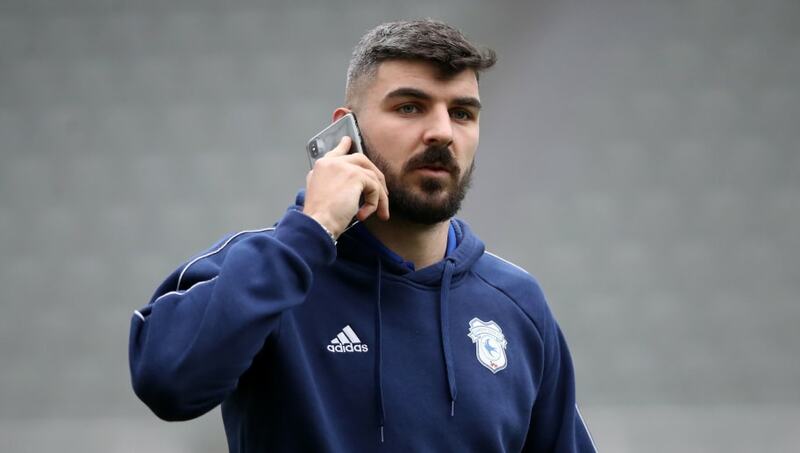 Neil Warnock has suffered yet another blow to his squad ahead of a crucial double-header with Chelsea and Manchester City, as versatile forward Callum Paterson​ has joined Sol Bamba and Matt Connolly on the sidelines. Paterson started for Scotland at San Marino during the international break, but was forced off in the first half to much concern, especially after reports had circulated that Cardiff had instructed the SFA not to use him on synthetic turf due to injury issues. ahead of the ​Chelsea match that the 24-year-old would be out for the season, and that it comes as a serious blow for his side. "It's no good saying it's not a blow, Warnock said. "Contrary to what was said before the Scottish game, I never said anything to Alex McLeish about not playing on the plastic pitch. But he had such a bad injury with his knee I think they spoke between themselves. "The second game was a disaster for us, but it’s one of those things. "He’s having an operation on Monday and should be out until pre-season. A big blow. The same day Matt Connolly was just coming back training and he dislocated his ankle." While he was forgiving of Scotland, however, the manager took a less merciful approach to Iceland, who played Aron Gunnarsson for 160 minutes during the international break despite advice to the contrary from ​Cardiff. The midfielder has already agreed a move to Al-Arabi in the summer, but Warnock has accused the Icelandic FA of 'selfishness' in using the midfielder so heavily ahead of a busy week for his club. "With Iceland I was disappointed," he added. "I was originally told Aron wasn’t going to play on the plastic pitch for the first game then he played for over an hour, and then he plays for 93 minutes against France. "I bent over backwards for Iceland last season to allow him to go the World Cup, and he had three months this season when he was out and we had to build him back up. I was disappointed with the Iceland manager and I'll be speaking to him."